You guys are probably thinking that I will never finish Pearl of the Depths, 😭 but I'm working on it like nobody's business. I do feel guilty it has taken me this long, but I'm very determined to give you all another read. It has been far too long. I made the pre-order available on Amazon for November 22, because I know it will be finished by then. However, if I finish it sooner than the launch date, I will make it available and let you know here. I have to explain that the reason why this book has taken so very long is that for a long while, I was set on 4 books. In my mind, that was what made sense for the story and that was all that this series would need. There were so many surprises that came up as I started writing and a lot of things that needed to be worked out. 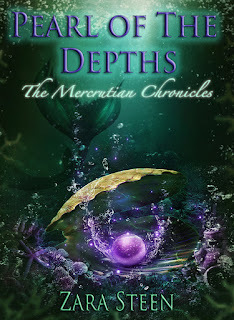 I have this whole weekend off so I'll be working on Pearl of the Depths and will check into KDP Select policies on previews as I want to offer one here in the blog.